“I’m cool” is what Blacks that voted twice for President Obama say when challenged about his lack of accomplishments toward Blacks’ plight in America. A similar Hobson’s choice awaits loyal Black Democratic Party voters in 2016. 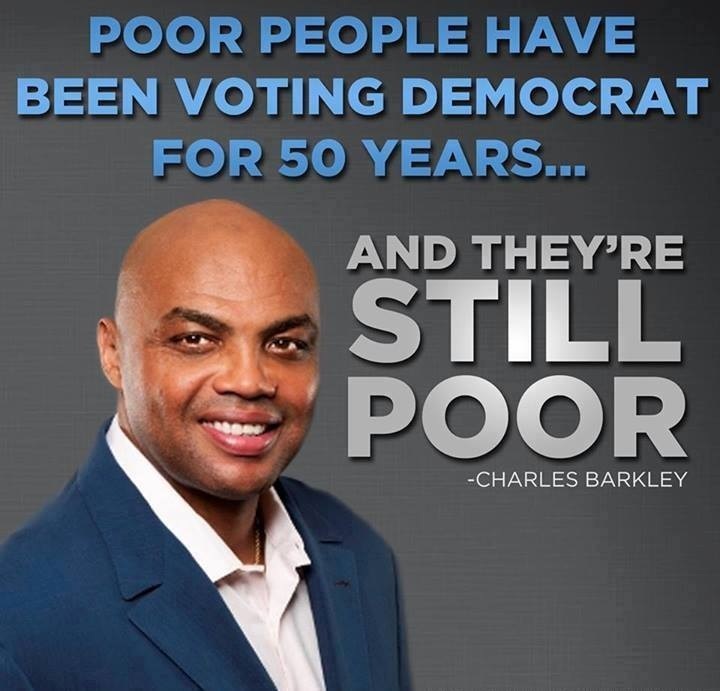 Like they gave their votes to Obama in 2008 in spite of his opposition to reparations to Blacks for slavery, most Black voters will cast their ballots for either Hillary Clinton or Bernie Sanders, despite them stating opposition to the concept. Hillary Clinton was asked about slavery reparations at Fusion’s Iowa Brown & Black Forum and gave a rational answer in which she argued instead for “more investment in underprivileged communities,” citing a proposal in cahoots with the Congressional Black Caucus. 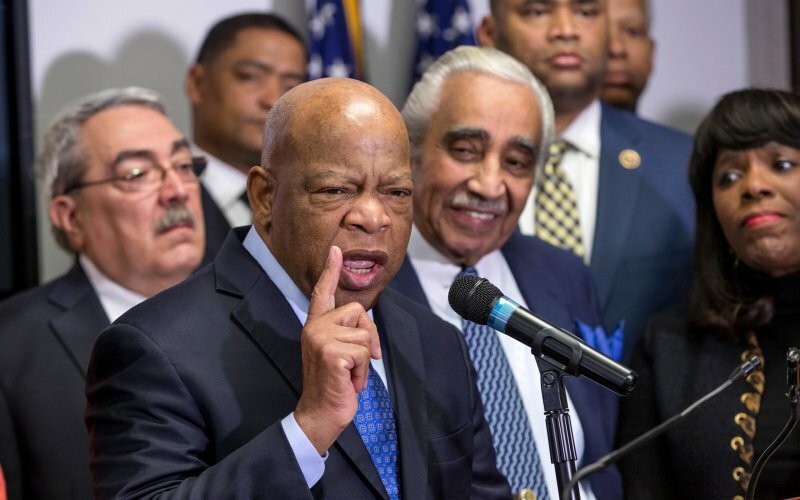 At that same forum Bernie Sanders too opposed Blacks’ reparations saying “No, I don’t think so…its likelihood of getting through Congress is nil. Second, I think it would be divisive…When we look at the high unemployment rate within the African-American community, we have a lot of work to do.” Barack Obama’s campaign “opposition” in 2007 poisoned the water on make the issue moot as Blacks gave him a 98 percent plurality. Blacks seem to accept it when their issues and interests are subordinated to those of the candidate or party. What have you heard from your favorite candidate about Blacks and their issues/interests? Slavery began in America in 1619, African-Americans have been freed from slavery for 150 years, but racism is inherent in the American system. If Hillary and Bernie are calling for economic justice, why aren’t they actively for reparations? And, why don’t Black voters similar demands for candidates? Blacks are the greatest obstacle to our overall advancement. We won’t demand what we are owed, and instead of paving a road to prosperity, our politicians advocate self-defeating economic policies that result in shackles of poverty and disillusionment that mire us in underachievement and social immobility. –Education – African Americans are twice as likely as Whites not to finish high school. Black students are suspended and expelled three times the rate of Whites. 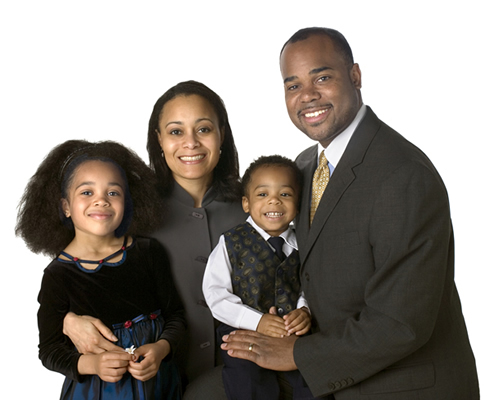 –Wealth – Blacks make $23,000 compared to the U.S. national average of $53,000. 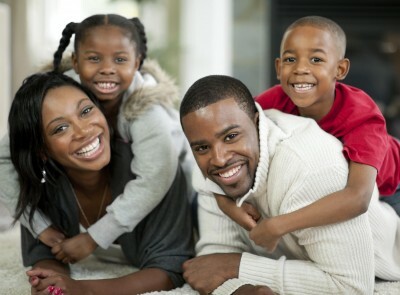 The median Black household has just 6 percent of the total wealth ($7,113) of the median White household ($111,146). –Health – A less wealthy lifetime means a less healthy life. Infant mortality for Blacks is 11.5 for every 1,000 births; the figure for Whites is 5.2. Black Americans live to 74 four years less on average than Whites – 79. –Incarceration – One in 3 Black males will go to prison at some point in their life. Black women are incarcerated at (only) twice the rate of –White women. Blacks are 14 percent of the national population, but 38 percent of prison populations. –Violence – White America’s rate of homicide is 2.5 deaths per 100,000. Black America’s homicide rate is 19.4 deaths per 100,000. Blacks are more than twice as likely to be shot and killed by the police. Blacks have been robbed by American institutions, businesses, associations, and governments. This debt includes everything from land-theft, to red-lining, to disenfranchisement, to convict-lease labor, to lynching, to enslavement. This large and pervasive thief is a major force in Blacks’ lives today. The nation’s great universities and early economy were founded on slavery. 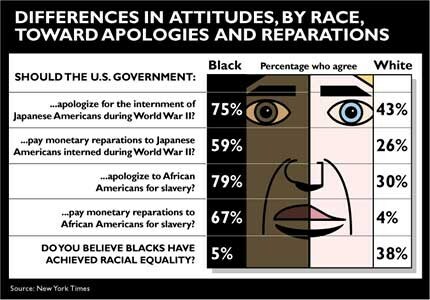 Contemporary Blacks have to get in their minds around how entitled they are to reparations. Hey Buddy!, I found this information for you: "Blacks Been Down So Long That Anything Looks Like Up by William Reed". Here is the website link: https://blackmeninamerica.com/blacks-been-down-so-long-that-anything-looks-like-up/. Thank you.